Learn how to employ serial transceivers in your UltraScale™ FPGA design. Understand and utilize the features of the serial transceiver blocks, such as 8B/10B and 64B/66B encoding, channel bonding, clock correction, and comma detection. Additional topics include use of the UltraScale FPGAs Transceiver Wizard, synthesis and implementation considerations, board design as it relates to the transceivers, and test and debugging. This course combines lectures with practical hands-on labs. Lab 1: Transceiver Core Generation – Use the UltraScale FPGAs Transceivers Wizard to create instantiation templates. Lab 2: Transceiver Simulation – Simulate the transceiver IP by using the IP example design. 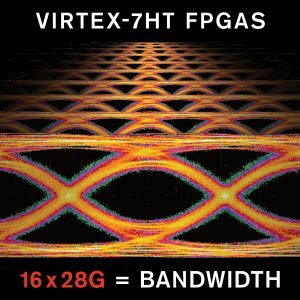 Lab 3: 64B/66B Encoding –.Generate a 64B/66B transceiver core by using the UltraScale FPGAs Transceivers Wizard, simulate the design, and analyze the results. Lab 4: Transceiver Implementation – Implement the transceiver IP by using the IP example design. Lab 5: IBERT Design – Verify transceiver links on real hardware.